RED FLORAL FLOW GLASS VASE by Accent Plus home decor, jewelry, decor, decorations, electronics, fountains, floor mats, art glass, vases, garden essentials, fireplace screens. The freeform flowers on this dramatic red art glass vase are as pretty as the fresh flowers you'll put inside the vase! 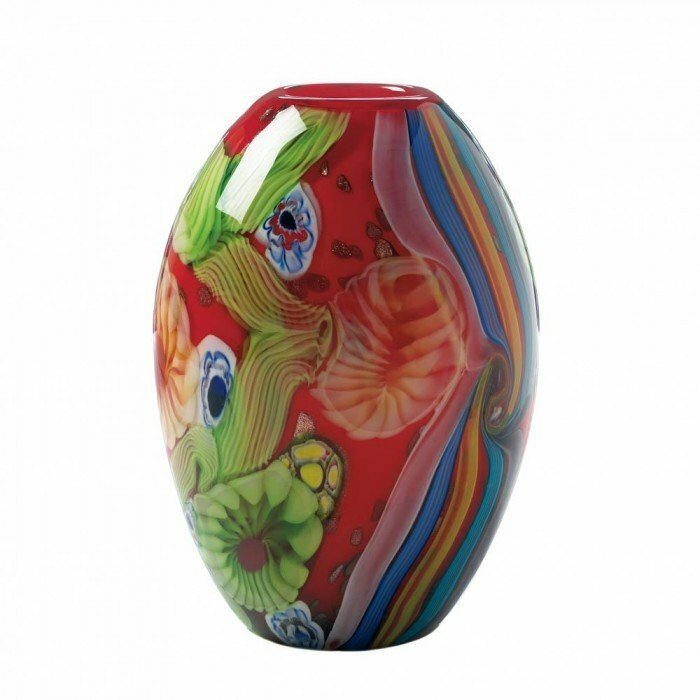 Get ready to admire this beautiful and artistic vase every time to you see it perched on your shelf or table. It also makes a fantastic gift!. Material(s): GLASS. Weight 7 pounds. Dimensions 6.5" x 6.5" x 9.25".